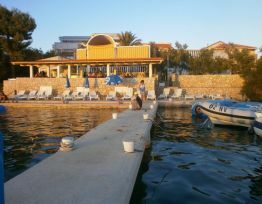 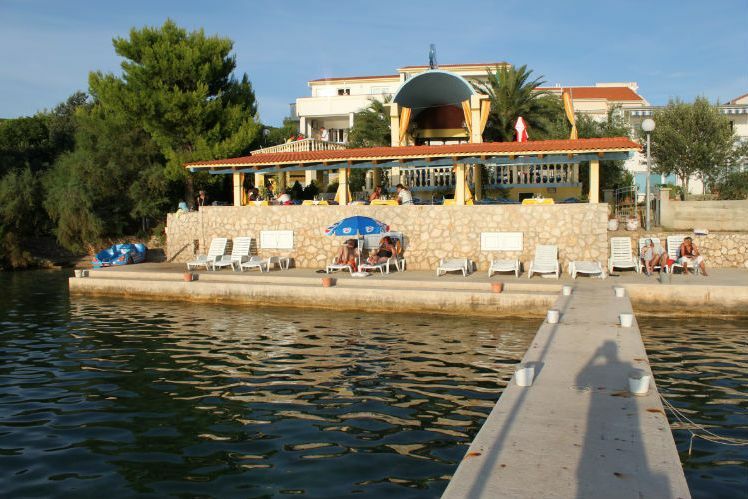 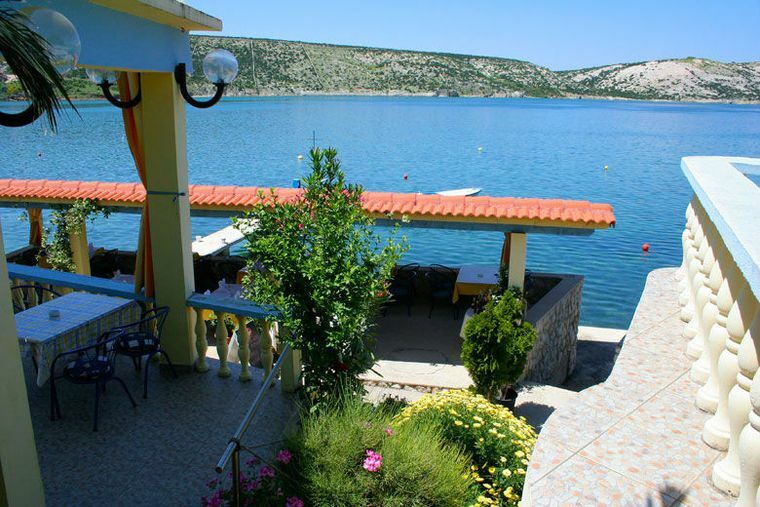 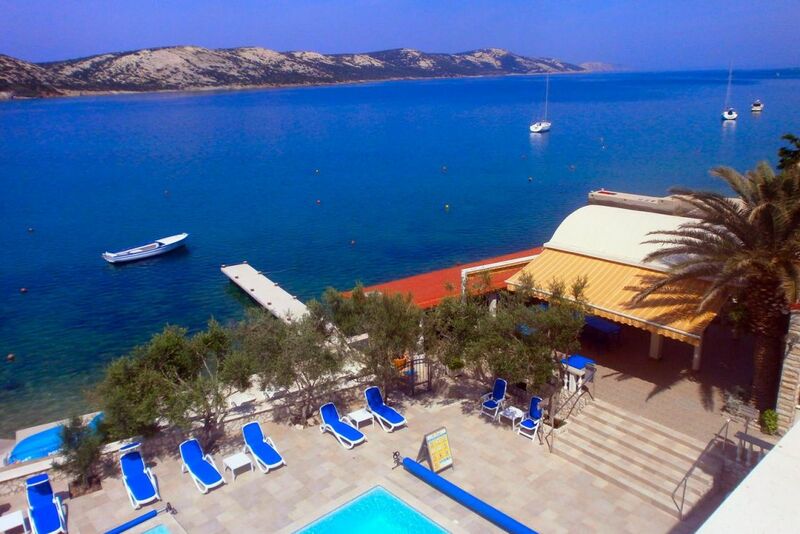 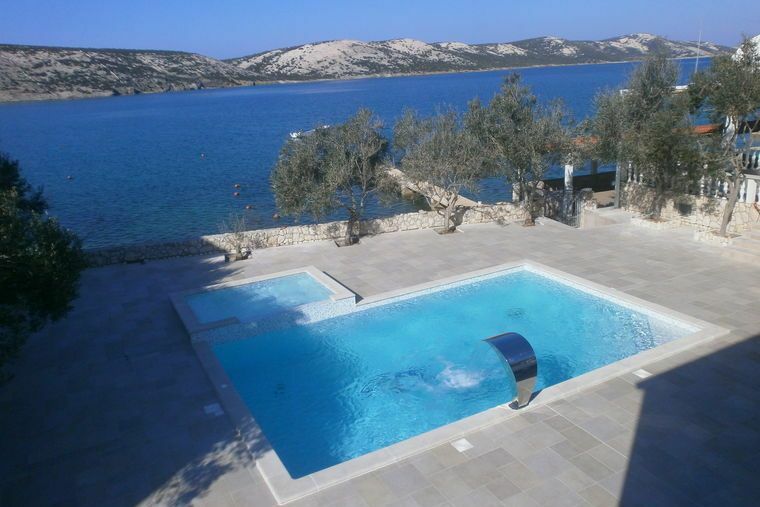 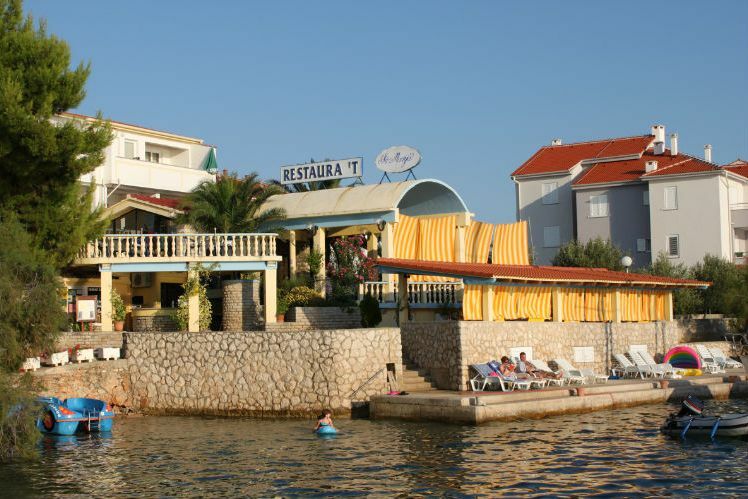 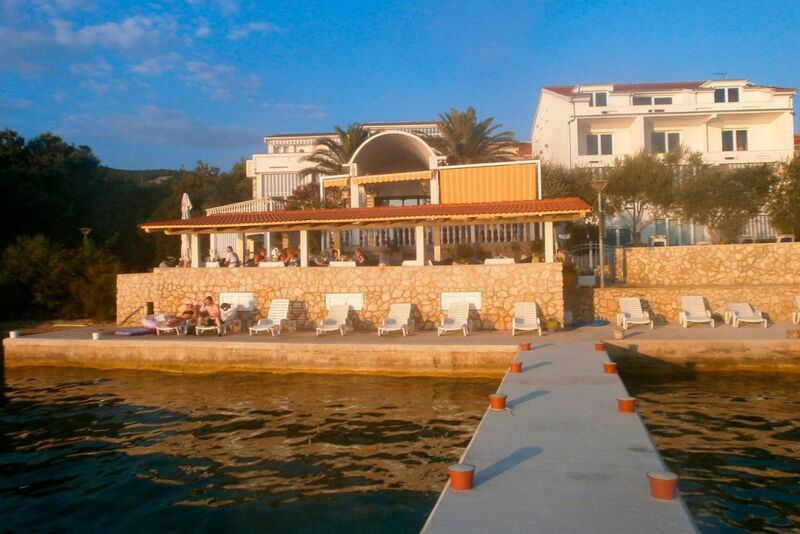 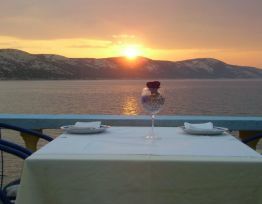 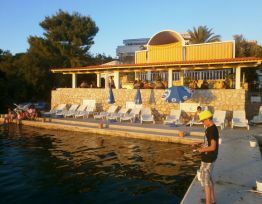 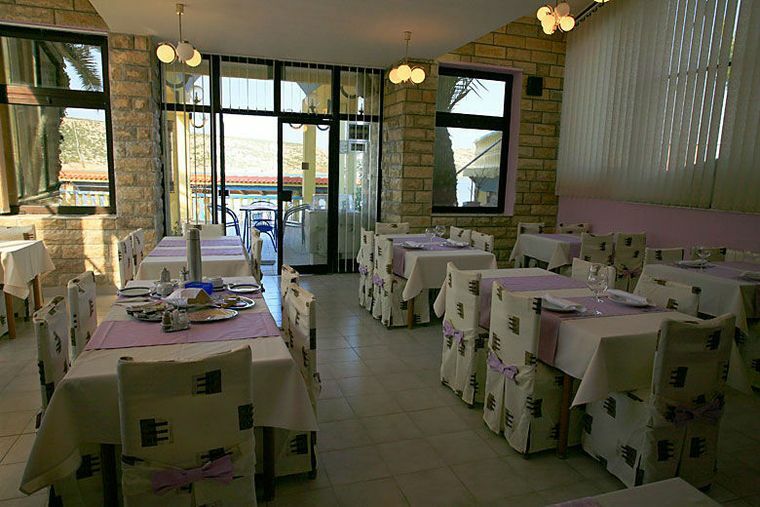 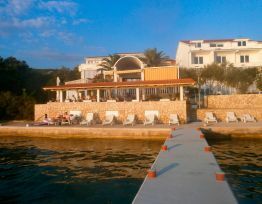 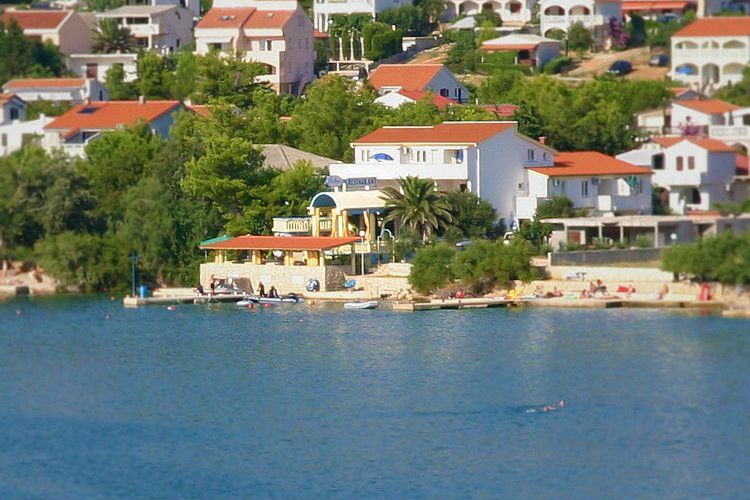 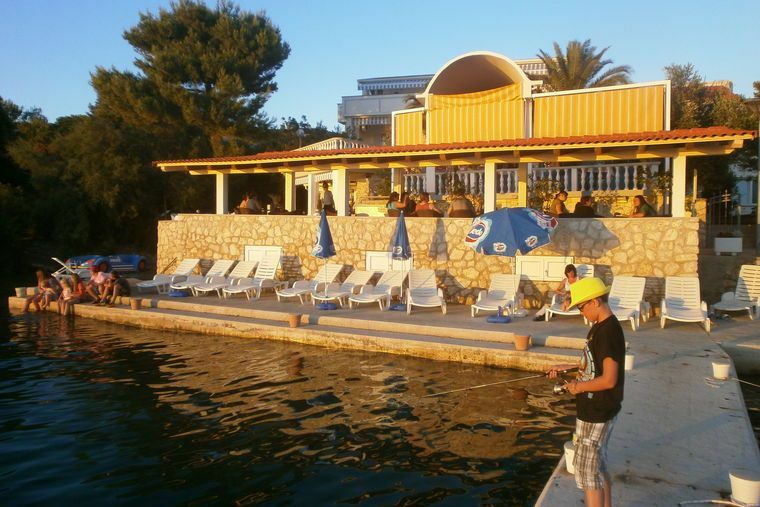 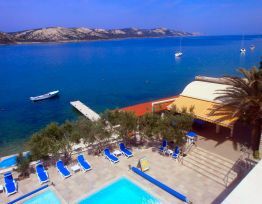 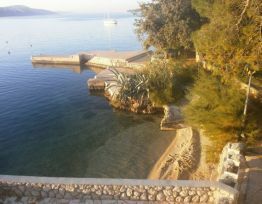 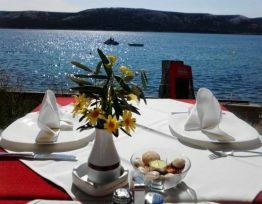 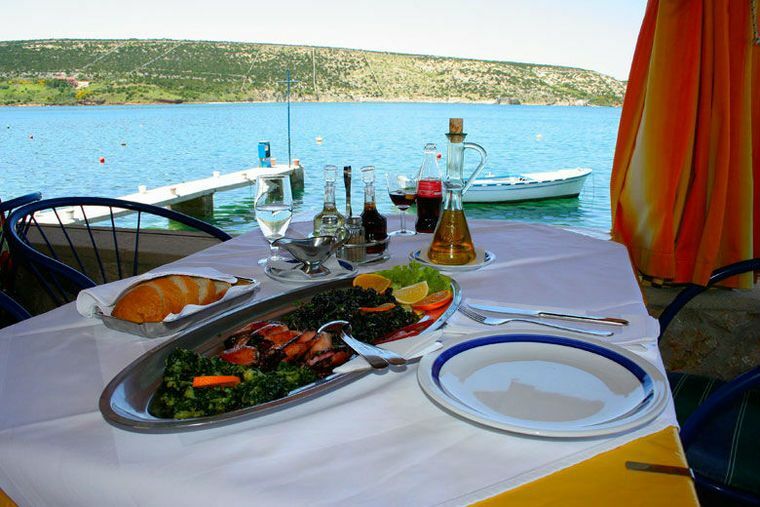 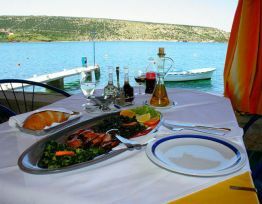 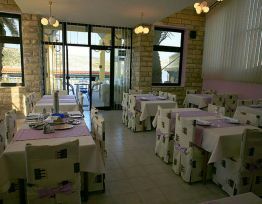 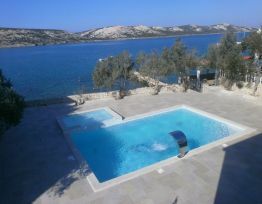 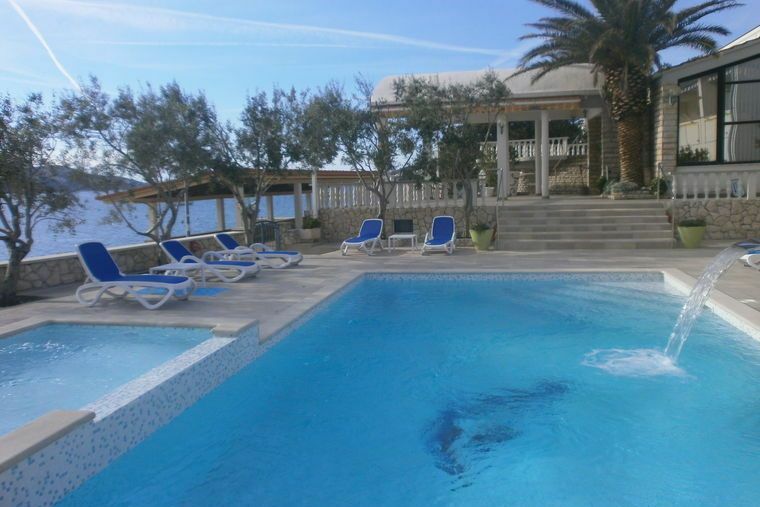 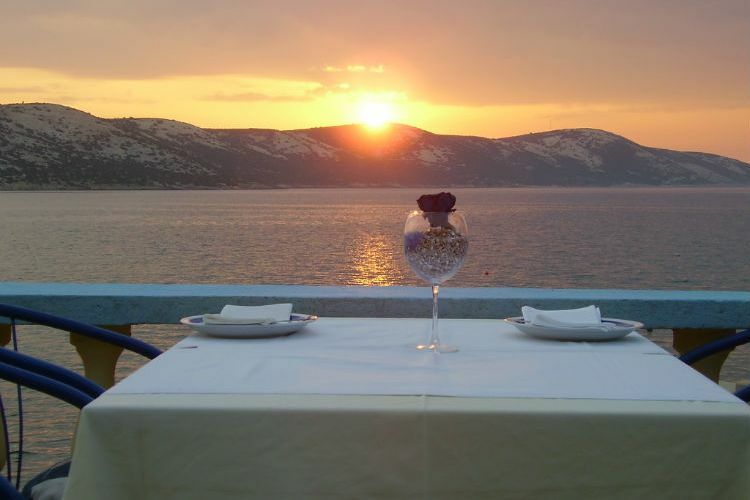 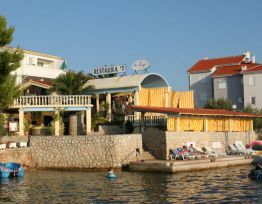 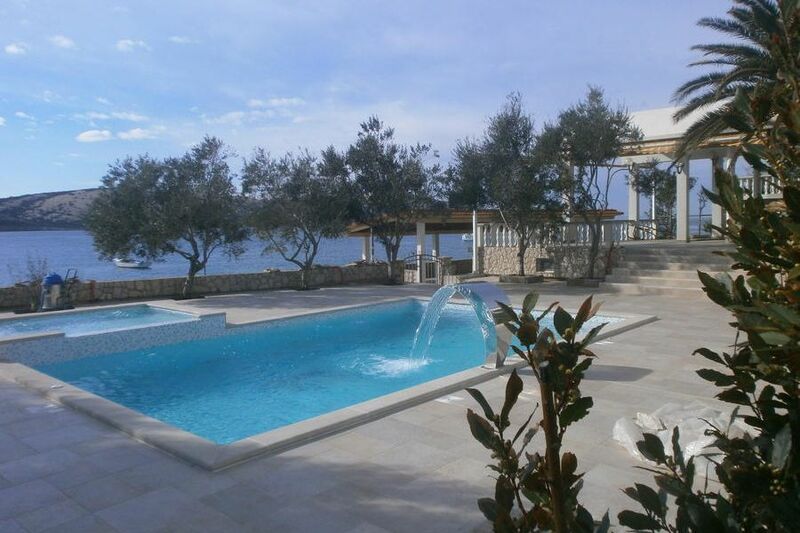 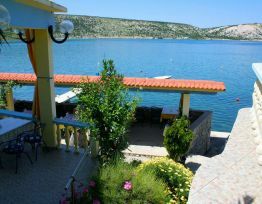 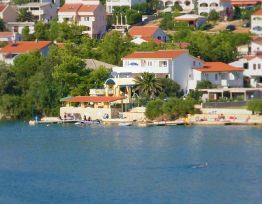 Pension St. Maria is located in a beautiful bay in Stara Novalja, on the island of Pag. 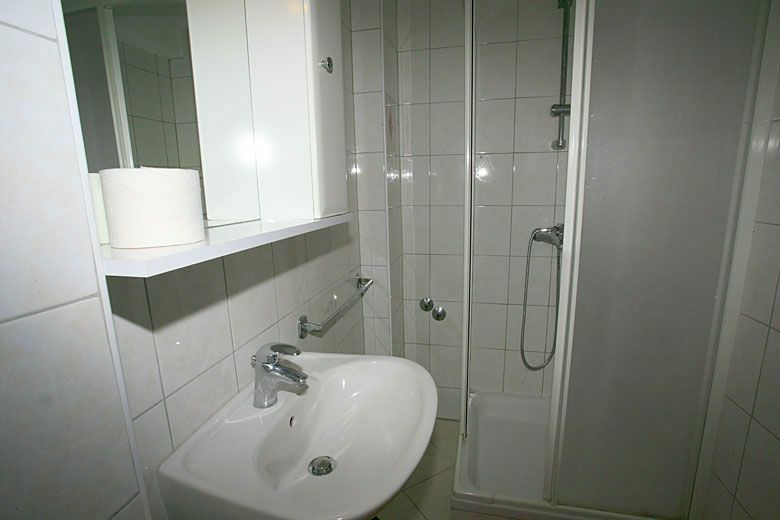 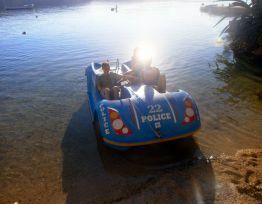 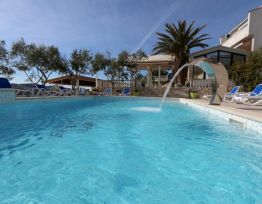 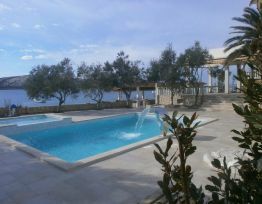 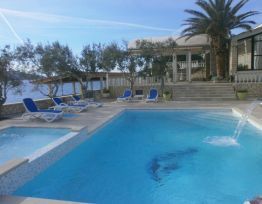 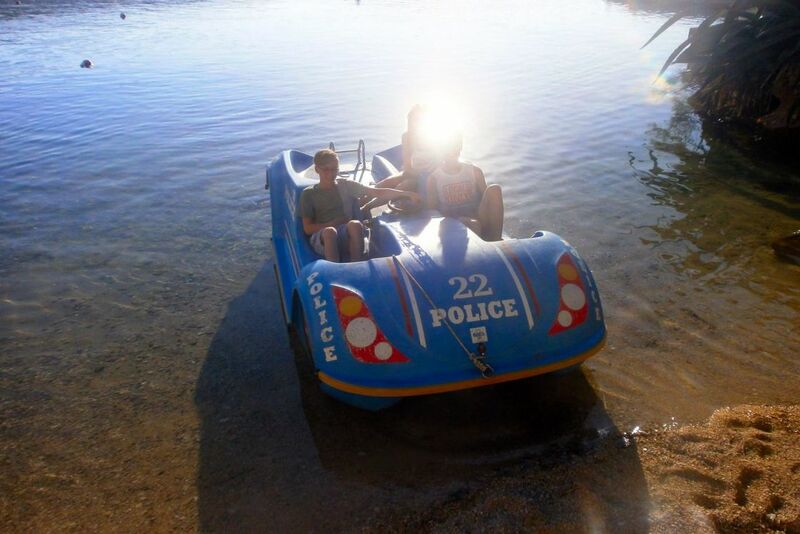 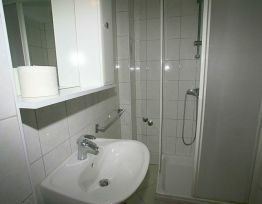 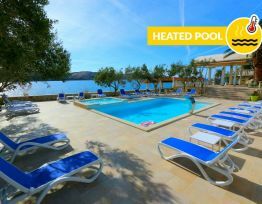 The complex is located directly beside the sea and has a beautiful little private beach. 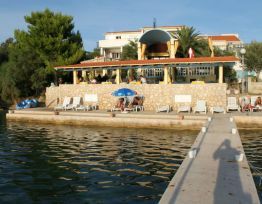 In front of the house there is a sandy beach with magnificent conditions for swimming and sunbathing. 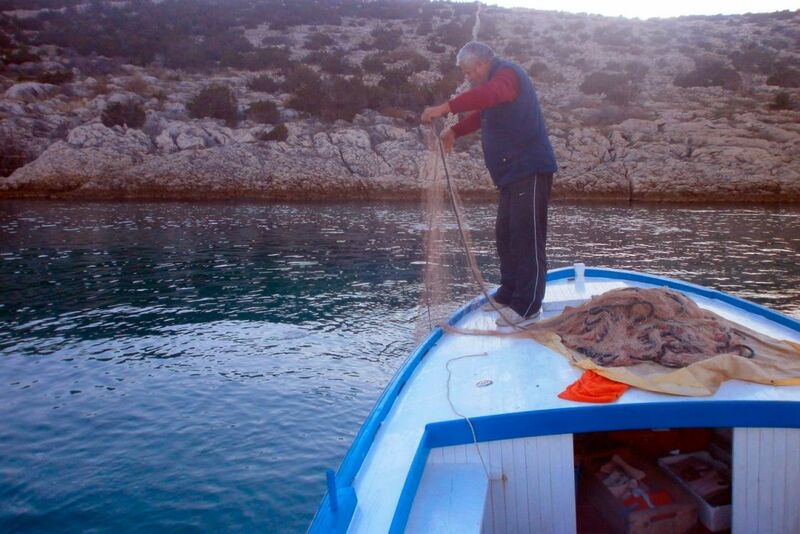 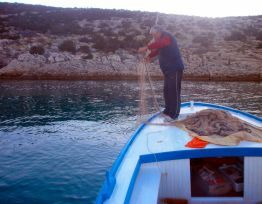 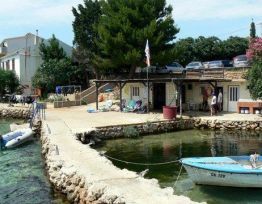 Guests have access to a small haven where they can moor your boat for free, electricity and water is free. 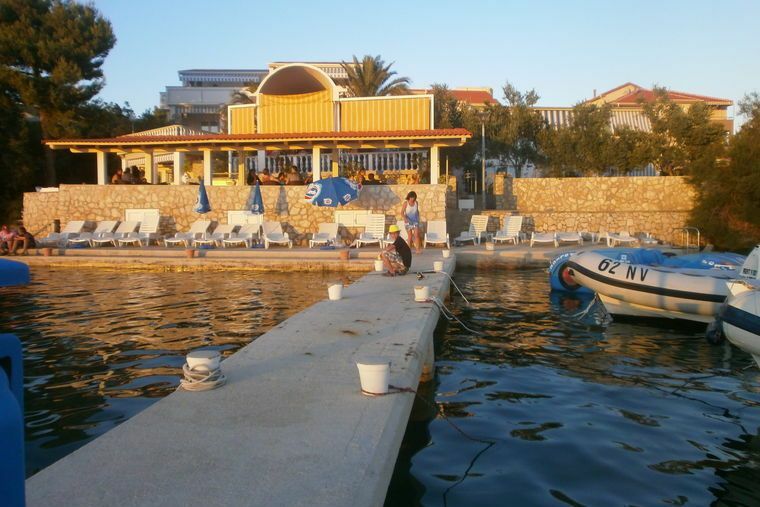 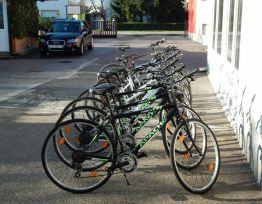 Every guest of the hotel also has a small depot on the beach, where it can store their personal belongings.